File manager for iPhone and iPad is an issue of all time. But no worries, you can download and install FilzaJailed IPA on iOS 11 or 11.1.2 without jailbreak on your iPhone or iPad. With Filza file manager you will have full root access to all the files in the directory. The Filza Jailed ipa works on iOS 11 and iOS 11.2 only. You can not install it on any higher version. In this tutorial I will show you how to install Filza Jailed on iOS 11.1.2 or iOS 11 Installing this is pretty easy. It does not require any jailbreak. You’re gonna need Cydia Impactor for sideloading IPA file of Filza on your iPhone or iPad which I am sure that you are familiar with. With FilzaJailed ipa you will have root access with read and write permission in the directory. So, let’s start. Do you know that iOS 11 Jailbreak is available now. The filzajailed iOS 11 is based on appsync_wake iOS 11 kernel exploit by Ian Beer. Thanks to him that we can now have an actual file manager with root on our iPhone and iPad. You must consider one thing while installing this tweak that, it will only work on iOS 11 and iOS 11.1.2. On above iOS version i.e, 11.2 this tweak crasher and does not work. So, to install FilzaJailed ipa for iOS 11.1.2 or iOS 11 you can follow the instructions below. No jailbreak is required, it is intended for all non-jailbroken devices. It can be installed on all iOS 64 bit devices. Tested on iPhone X, iPhone 8/8 Plus, iPhone 7/7 Plus, iPhone 6S/6S Plus, iPhone 6/6 Plus, iPhone 5S. Download the files from below links. To download filza ipa file manager, you can do the steps below as follows. First of all Download Filzajailed ipa file from above link. Now Download Cydia Impactor from above link. Keep both files on your PC or Mac not on phone. Install Cydia Impactor on your PC or Mac. Extract the FilzeJailed file to get the iPAd file. Connect your iPhone or iPad to your Mac or PC. Click and drag Filzajailed ipa file on to Cydai Impactor. Cydia impactor will ask you to login. Put in your Apple id username and password here. Filza File Manager for iOS 11 will now install on your device. When it installs completely. Disconnect the device. Now once ipa file is installed. Go to Settings>>Device Management and trust the profile of recently installed app. Launch the file manager on your phone and enjoy. While researching for Filza jailed I have found out that you can also get Cydia using Filza by installing a modified asyns_wake_ios with cydia. I have discussed the procedure below. 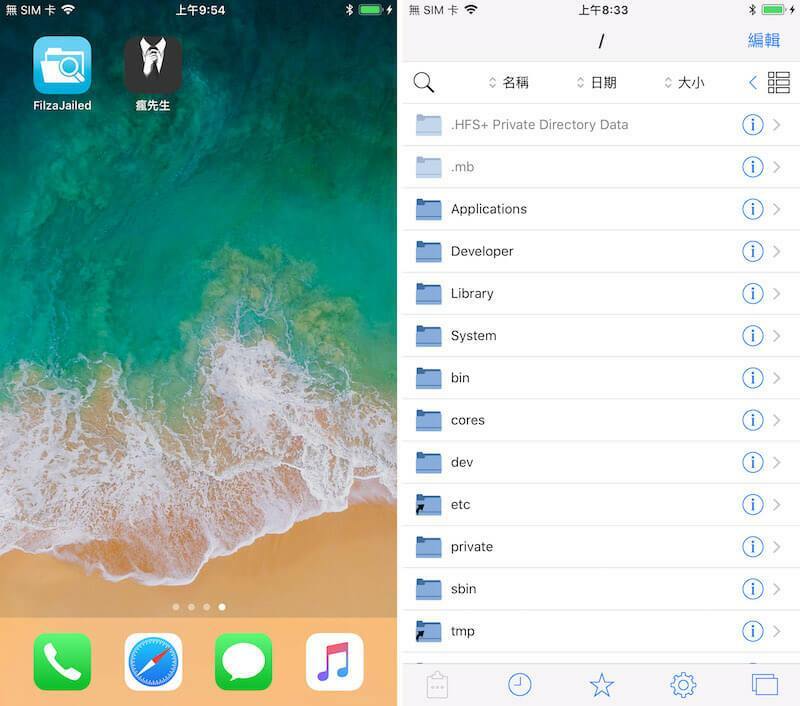 To install Cydia on iOS 11.1.2 or iOS 11.1 you can do this by below steps. Cydia will be installed on your phone but it will not work properly. Also, this procedure might not work for everyone but you can give it a try anyway. Once Filzejailed ipa is installed. Go to the filza manager. Make a new file named, “.cydia_no_stash“. After that download the modified async_wake Cydia.ipa file. Install Cydia.ipa file using cydia impactor. Similar to above method. Launch the Cydia app, your phone will now restart. Launch the app again and enjoy. This is how you install FilzaJailed IPA on iOS 11 or iOS 11.1.2. Easy isn’t it. Share this post and subscribe to our blog for more iOS tweaks.